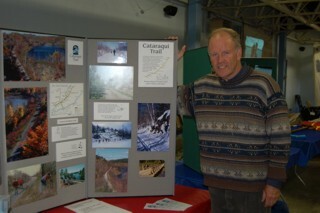 The Cataraqui Trail is largely dependent upon membership fees and private donations both to sustain and further develop the trail. The townships of South Frontenac and Rideau Lakes provide welcome donations (both financial and gifts in kind) and the Management Board, often in concert with the snowmobile clubs, actively seeks out one-time government grants when available to improve the trail. Fees generated by special events provide some additional funding. Volunteers are critical to the success of the trail providing much of the labour involved in the maintenance of the trail greatly reducing costs.